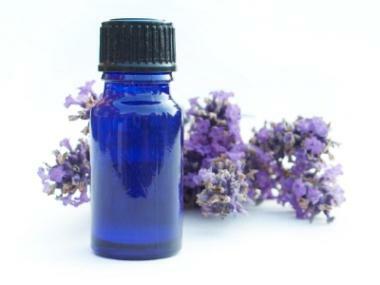 Lavender essential oil kills germs and smells fresh. Commercial cleaning products are laden with chemicals that are not only hard on the environment but also hard on health. Just as you can make organic body and hair care products, you can make organic house cleaning products. These natural formulas are safe, easy to make, have a fresh aroma, and are just as effective as their toxic counterparts. The essential oils used in these dishwashing formulas kill germs without leaving a toxic residue. Fill a clean 22-ounce plastic bottle with a pour-top with castile soap (dilute according to directions if using a concentrate). Add 1 to 2 tablespoons to dishwater and wash. This blend works well on stainless steel and porcelain sinks. Use a little to freshen drains and keep disposals clog-free. Rinse sink well with hot water. Pour the cleaner in the sink and wipe with a sponge or soft cloth. Spray with vinegar and rinse again to leave a residue-free shine. Appliances, cabinets and counters get grimy fast. This non-scratching organic cleaner will remove without scratching or leaving behind a chemical residue. Combine all ingredients in a plastic spray bottle. Spray a generous amount on the surface and wipe with a damp soft cloth. Wipe dry with a cloth or towel. If you have young children or pets, it is especially important to use an organic housecleaning product on your floor.This maximum cleaning formula leaves a sweet citrus scent. Place all ingredients in a large bucket. Dip a large sponge into the bucket and squeeze it out. Clean the floor in sections using a circular motion. This fresh smelling cleaner leaves a great shine. Place all ingredients in a plastic spray bottle. Spray directly on wood floor in small sections. Dry mop the floor after washing. This organic spray leaves windows streak and smudge free. Wipe clean using a soft chamois cloth. Even just switching to a few organic cleaners creates a healthier home. Making your own organic house cleaning products does not require a great deal of time and saves money. Don't be fooled into thinking that a high-quality cleaner must burn your eyes to be effective. Organic compounds are just as capable and smell a whole lot better!